Succeeding in today’s world requires a whole lot more than a good cup of coffee and a strict bedtime routine. Too much is happening nowadays and unless you naturally possess the superhero ability to shut off the world while you attempt to isolate your focus on the task at hand, you are going to need to properly equip yourself with tools that can. It’s no wonder that substances like Adderall have swept through college campuses and even made it into the offices of young fast growing companies. The side effects of Adderall are no joke. If you’re reading this, I am sure you are aware of just how miraculous the substance can seem. I’d bet that most of you have also been confronted with the perils of trying to get a hold of it as well as some of the logical suspicions that should naturally arise about the negative effects of Adderall. Whatever your reason for arriving here, I aim to provide the best resource for exploring Adderall alternatives. Adderall abuse and addiction in colleges. Why is there need to find alternatives to Adderall? Are there alternatives to Adderall? Ultimately, Adderall is a quick fix. It is an aggressive introduction to cognitive enhancement. It is not a proper tool for genuine growth. If you use it continuously, your body and mind will pay a price. Adderall is an amphetamine-based stimulant affecting the central nervous system. It will alter the quantity of otherwise naturally occurring chemicals in your brain. The neurotransmitters responsible for the production of dopamine and norepinephrine are adjusted to work overtime and to do it quickly. You become euphoric. You become very alert and your mood becomes distinctly elevated. Since you have such a small duration of time between the moment you were not feeling euphoric and the moment the Adderall began to take effect (about 30-45 minutes), it is easy to subscribe to the idea that Adderall ‘fixed’ you. Most people, upon experiencing the effects of Adderall, believe that they must need it and that perhaps they have always needed it. If you continue to use Adderall routinely, either by prescription or otherwise, you are in for quite a ride. If you thought you were experiencing some brain fog, trouble concentrating, trouble staying awake, etc. prior to using Adderall, just wait and see what happens when you miss a day or two after continual use. The distinctive high produced by Adderall is no different than any other caliber of euphoric highs and will leave you expended of your brain’s natural resources. If you choose to partake in this cycle as part of your daily life, you will inevitably experience bouts of profound fatigue and crippling depression as your body fights to cope with Adderall’s exhausting demands. You see, Adderall makes adjustments to the amount of resources your brain produces at a given time. It does nothing to help compensate for those expended resources, much less does it help to actually produce the resources itself. To cope with the negative effects of Adderall, you will need to seek the aid of supplements that will naturally convert themselves into exactly what your mind and body are lacking. Simple natural supplements like 5-HTP will, itself, convert into serotonin providing your body with what is now lacking. I am not a doctor and I certainly do not mean to suggest that anyone should abandon their prescriptions. But if you are seeking control over your mind and body for the purpose of promoting better brain performance, then why not just start with the natural supplements? Why not avoid expending all of your brain’s own resources chasing a high while still achieving cognitive enhancement? We will explore the leading over the counter alternatives to Adderall that aim to produce the mental balance and cognitive enhancement you seek. We will directly compare the effects and ingredients of these natural Adderall alternatives with the effects produced by Adderall. Many of the products floating around are bogus and we will highlight those for you. The good ones exist too. When used properly, these products will absolutely change your world without disrupting your health. Adderall is a combination of the stimulants amphetamine and dextroamphetamine. Medically, it is used as part or whole treatment of neurological disorders such as ADHD/ADD and narcolepsy. Attention Deficit Hyperactivity Disorder- this is a condition in which patients’ exhibit symptoms such as inattentiveness, impulsivity and hyperactivity. It affects both children and adults with the latter finding it difficult to hold on to jobs, set goals or manage their time. Narcolepsy- neurological disorder that affects the control of sleep and wakefulness. Patients suffering from it experience excessive daytime sleep. Adderall is available in two forms; Instant release and extended release. Both treat ADHD bu only the latter is approved for treating narcolepsy. Being an amphetamine, the United States Controlled Substance Act classifies Adderall as a schedule II drug. This and other drugs under the category; have high potential for abuse, have accepted medical use and may lead to serious psychological or physical dependence. For this reason, the drug is sold only to persons with prescriptions. In recent times, Adderall has grown more popular with a majority of its new users being anything but patients of the conditions mentioned above. Top of this list are students both in high school and colleges as well as young individuals in highly demanding job environments. Adderall has ‘beneficial side effects’ such as reduced need for sleep, suppressed appetite and increased focus. These side effects have made it very appealing to the students and the working individuals who find it helpful in boosting their grades and performance respectively. Many more people use it as a recreational drug due to the euphoria (similar to that of cocaine) associated with it. It is perhaps the most abused prescription drug in the US. More so among college students. Research has showed that anywhere between 20-30% of college students are regular users of Adderall. Another study showed that youths aged 18-22 in college are more likely to use it more than non-students of the same age. Here is a short documentary that shows just how much adderall is being abused in schools. Being a schedule II drug makes it a bit hard to obtain OTC but students, being the smart people that they are, have found easier ways of getting it hence its ever increasing demand. The most popular way of getting it is by faking ADHD and your doctor gives you a prescription. When this fails, a good number use those for a family or friend with genuine ADHD. Despite its benefits as both a treatment and a study drug, Adderall has some serious side effects which makes it to become a liability. Furthermore, being an amphetamine it is very easy to get addicted and as a result dependent on it either physically or psychologically. When used or abused over a long period of time, some long term effects kick in. Some may prove fatal and even life threatening while the vast majority of the effects negatively interferes with our day to day lives. As a parent, these side effects should prompt you to seriously reconsider other alternatives for your child. As you have seen, with time, Adderall’s usefulness becomes greatly outweighed by its numerous side effects. There is hence a need to find alternatives which are equally efficient while at the same time being risk free. 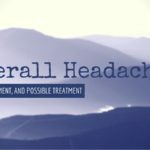 This article seeks to direct you towards alternatives for Adderall as both a treatment and as a study drug as abused by college students. As mentioned earlier, ADHD is a common condition experienced by both children and adults. The condition is caused by reduced brain activity which accounts for the difficulty in concentration and other symptoms associated with ADHD. Adderall is used in its treatment as it increases brain activity. However, there are many more ways to increase your brain activity without the need for Adderall or any other drug for that matter. We will look at both the natural ways as ways as safer OTC drugs. Unlike other forms of meditation, TM is neither a technique of contemplation or of concentration. It is practiced in a sited position with eyes closed for 10-20 minutes twice a day. TM activates areas of the brain responsible for attention, executive function and emotional stability. A study was conducted among patients with ADHD and 3 months later the symptoms (stress, hyperactivity and anxiety) were greatly reduced. This is a method of increasing brain activity by hooking electrodes to the scalp and training you to speed up brain activity. This is however quite costly hence may not be ideal for everybody. Furthermore, it is time consuming as it takes many sessions before the results are visible. You probably thought that aerobics and exercises in general were only meant for your physical wellbeing. Think again! Exercises have been found to boost brain activity, prevent cognitive decline, reduce stress and anxiety and many more. Furthermore, while exercising, you use energy hence the hyperactivity, which is of a result of excess energy, is counteracted. The good thing is that the exercise need not be too demanding. Simple activities like a 30 minute walk four times a week are sufficient. It is important to note that this is a replacement to Adderall for only a handful. For the greater majority, it is complementary. Pycnogenol is an extract from the bark of the French maritime pine and works for children with ADHD. The name Pycnogenol is simply the patented name of French Maritime pine bark extract. Studies have shown that ADHD symptoms such as hyperactivity and attention deficiency were countered by a month of pycnogenol. However, the symptoms crept back after its administration was stopped hence the need to maintain its intake. Apart from being an effective adderall substitute, Pycnogenol has many other health benefits. A study at Loma Linda University in California found out that mice showed remarkable improvement on their memory when they were placed under pycnogenol. Another study that was conducted at the Arizone university showed that the extract of the French Maritime bark lowers blood pressure. 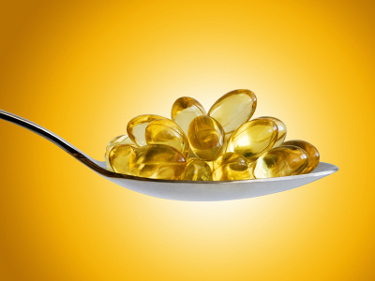 Omega-3 and -6 fatty acids can found in fish oil, krill oil and various other fish types. Goteborg University, Sweden carried out a study to show the effectiveness of the fatty acids to combat ADHD. The study made use of 75 individuals aged 8-18 over a period of 3 months. Of them, only about 26% responded to the fatty acids showing a reduction of ADHD symptoms by 25%. After 6 months, 47% of the initial participants showed improvements. This may not work for you but the best way to find out is by trying them out. We recommend Dr. Tobias Omega 3 Fish Oil for a Start. It is found in beverages such as tea, coffee and in chocolate too. It is a stimulant hence when taken in sufficient amounts, it increases your ability to focus as well as your ability to maintain concentration. You should only take in the morning as too much caffeine will only magnify symptoms such as insomnia, pounding heart beat and tummy upsets. Stress and distractions only serve to increase the symptoms of ADHD. As such, changing your lifestyle from one that is full of stress to a less stressful one could go a long way to fight ADHD. Since ADHD is diagnosed early in life, it is also important to change the lifestyle of your ADHD child. You could achieve these by things such as rewarding success, breaking big jobs into small tasks and encouraging him/her to do things that he/she is good at. ADHD has been shown to be caused by a shortage of zinc as well as Mg-B6. By supplementing this elements the symptoms could be reduced. Apart from supplements, there are other safer OTC drugs which counter ADHD without having the same devastating side effects as Adderall. Each is discussed below. It is however a wise idea to discuss them with your doctor so as to know which will suit you best. There are many more such OTC drugs and your choice on which to take should be made with the help of your doctor. Others include jet rush, amphetarol, focus FX, xtra-surge, PEA and many more. It is really important consult with your doctor before quitting your Adderall medication since withdrawal symptoms are often present. As more and more college students sought Adderall to improve their grades, there is need to inform them of safer and easier drugs to get which will achieve the same results as Adderall but with few or no side effects at all. Ever heard of nootropics? These are the safest replacements to your Adderall and unlike it, they can be bought at your drug store or even online. You do not need to fake ADHD to get them as they were designed for the purpose of boosting your brain activity. Nootropics are substances that improve your mental functioning with relatively few side effect. Some of the best nootropics out there have been discussed at length. Being the very first nootropic, it has withstood the test of time seeing that it still popular among nootropic users. However, like all old things, its potency is way below those of other Racetams hence the need to use it with others. · Improved cognition and reasoning. · Improved perception and alertness. · Supports memory. · Low potency compared to other Racetams. · Some users have reported headaches as a side effect. · Long onset periods of effects. Its low potency makes its dosage higher (1600mg). Like piracetam, it has been around since the 70’s but surprisingly enough is that scientists are yet to fully understand how it works. Increased attention span and memory. Boosted cognition due to heightened brain energy levels. Aniracetam is powerful compared to piracetam hence its dosage is not as high. Depending on your needs, a dose of 400- 16000mg taken twice or thrice a day ought to do the trick. Studies have showed its half-life to be between 3-8 hours. As with other nootropics it has very few side effects which are hardly dangerous. You may experience headaches, nausea, anxiety and diarrhea. Should they occur, simply reduce the dosage or discontinue for a few days. · Kills anxiety and enhances mood. · Increases mental energy and attention. · Increased sensitivity to glutamate neurotransmitters. · May cause headaches to some users. · Fat soluble and must be taken with milk or fish oil. Being a racetam, it has the same effect as those of piracetam and Aniracetam. Like Aniracetam, it is stronger (up to 5times) than piracetam. Its use has significant effect on memory and learning therefore making it a smart drug which comes pretty handy when you are studying for that test. Its dosage, like the rest, is dependent on your need but a healthy dose is between 400-1600mg taken over two or three times a day. Like Aniracetam, it has a half-life of between 3-8 hours. What sets it apart from other Racetams is that it doesn’t have an effect on dopamine levels. In simple English; It has little or no effect on your mood. The side effects are fairly mild with headaches being the most common of them. Some people have reported a tolerance to it and should this occur, simply change your routine or increase your dosage levels. It is one of the strongest and most effective nootropics in the market. It belongs in the cognitive enhancers’ category of nootropics. Increased mental energy hence no brain fog. Improved attention and focus coupled with the ability to concentrate for longer. Improves your ability to absorb information better. Since it is very strong, the recommended dose is 5mg/day which can be increased to 40mg/day with time. It belongs to the racetam family of nootropics. As with other racetams, the side effects are minor and may or may not be experienced by everybody. They include headaches, anxiety, fatigue and nervousness. The nootropics covered above are just a hand full of the many nootropics we have in the market today. Research in the field of neuropharmacology is something that never stops and as such you can rest assured you will never run out of nootropics. If anything, you should expect new brands from time to time. Other nootropics include; alpha GPC, L-theanine, choline, Adrifinil, modafinil, citicoline among many more. If you want to get the most of these nootropics, stacking is the way to go. This simply means taking two or more nootropic together so as to increase the potency of each. It is however important to consult with a doctor before beginning any nootropic or nootropic stack. Furthermore, the correct dosage should be adhered to so as to minimize the side effects from occurring or escalating. Adderall, as effective as it may be in combating ADHD has too serious side effects to ignore. Some are life threating and long term and as such seeking safer alternatives to it is the wisest course of action. Whether you are an adult with ADHD or a parent to a ADHD child, you simply can’t afford to continue with your Adderall medication. And to you students who take Adderall to boost your brain abilities, the benefits have a very short half-life after which you begin feeling the side effects. Wouldn’t it be wiser to take nootropics instead? Are they not safer? Are they not a lot easier to obtain? The fact that they have few or no side effects at all should be enough to motivate you to flash those Adderall pills down the drain and begin on a nootropic of your choice. I have made my case and I leave the decision to you. So what will it be? The only Adderall alternative I’ve ever found that actually works is Piratall from Pirate Botanicals.